This is an absolute must! Give your guests some options to cover up any unpleasant odors with an air freshener that actually works. A product called Poo Pourri is a fun new product that coined the phrase, “Spritz the bowl before-you-go and no one else will ever know!” We’ve tried this stuff and it does work quite well. You simply spray it in the toilet before you go. Voila! We do recommend still offering something for the after effects that covers the job entirely, such as a citrus spray or matches. 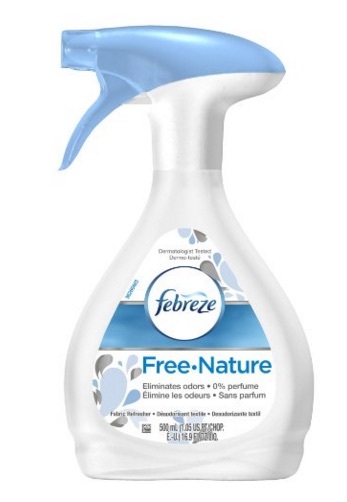 A really great odor masker is Febreze Free Nature, which has no fragrance but can mask pretty much any odor so well that guests will be none the wiser of what has transpired in the bathroom. There are so many reasons that a trash can is necessary in the bathroom. All we can say is please have one handy for guests. 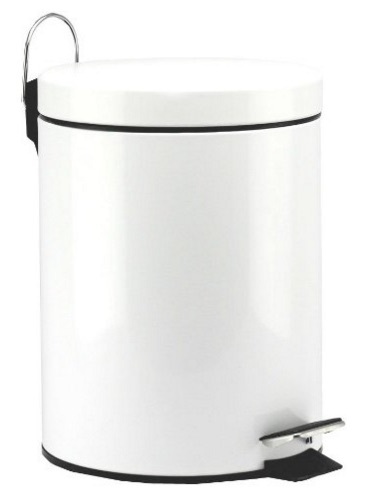 If you have animals, or others will be bringing theirs along for the visit, it’s best to have a small trash can that has a secure lid, such as this model from Neat-o which comes in a variety of colors to suit your bathroom decor. This will prevent curious pets from rummaging through the trash can.